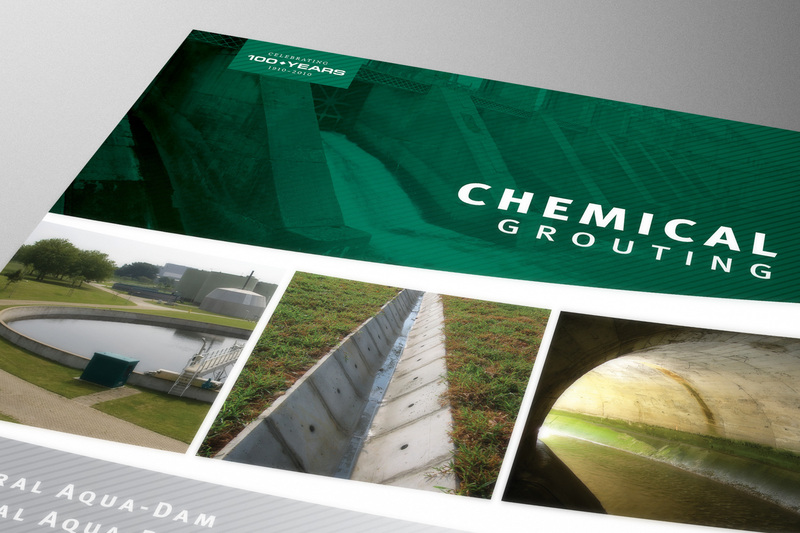 Specializing in concrete additives and admixtures, Euclid Chemical was in need of a cohesive and consistent way to present information about their wide range of products. 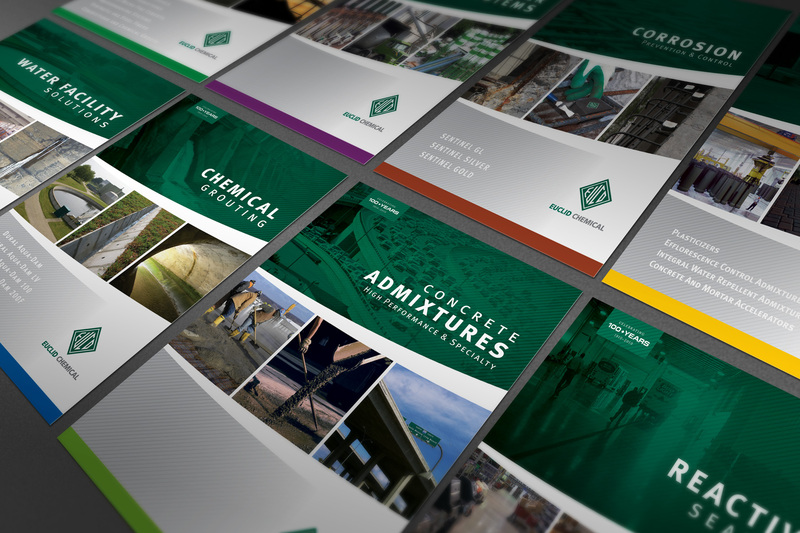 We designed this color-coded brochure series that proves important product and use information with supporting application imagery. 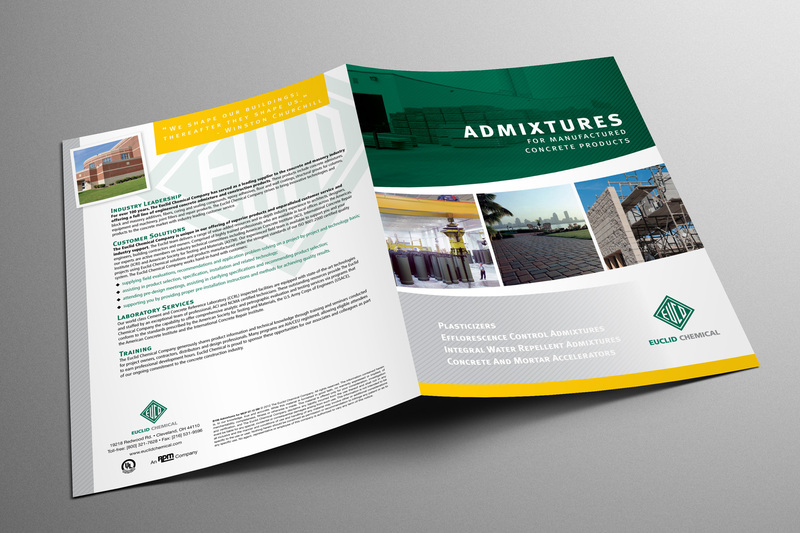 As a “whimsical” twist that provides a humanistic aspect to the literature, each brochure boasts its own quote from a famous icon in history that relates in some way to the featured product.